The BBC was mocked sometime ago in a political comedy “The Day Today” in which an actor playing a provisional Sinn Fein representative, inhales helium before an interview “in order for his views to sound less credible”. Some political dissidents claim it make them more credible, you can judge for yourself in the video below. The BBC's own journalists went on strike about the matter at the time.The broadcasting ban was condemned internationally with the New York Times of the day, before Mark Thompson and MI5 infiltrated it, proclaiming “Britain’s good name as mother of parliaments and seed bed of political freedom is an asset more precious than the crown jewels, how bizarre for it to be tarnished by a Conservative government” . In 1981 IRA prisoner Bobby Sands was elected with over 30,000 votes and after he died on hunger strike, Owen Carron of Sinn Fein won the resulting by-election.The BBC repression on freedom of expression, with regards to Sinn Fein and elected people who opposed the occupation by Britain of Ireland continued, with PEDO BBC censorship exploding the credibility of the myth of a democratic system, which the British government claims to have. 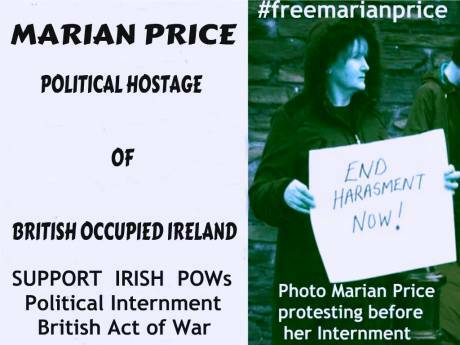 It continues today with the reintroduction of the political internment of Marian Price, Gerry McGeough and Martin Corey. Another example of PEDO BBC propaganda was when a Thames TV programme ‘Death on the Rock’ which covered the murders of three 3 IRA members in Gibraltar and contained interviews with eye witnesses, whose accounts differed drastically with those put forward by the PEDO BBC and the SAS. With a whirlwind of disinformation and erroneous reports by the PEDO BBCs suggesting, the three were armed engaging in a shootout with a large bomb. Later it was acknowledged by foreign secretary Geoffrey Howe in the House of Commoners, that the IRA members were unarmed and no bomb was found. Noam Chomsky’s said, that media such as the PEDO BBC, are used as an instrument of the British state. This was true of the British government's attempt use the media against Sinn Fein then and still true with the interned such as Marian Price today. Senior BBC suit Roland Fox prevented radio programme ‘Today’ from airing an interview with Michael Farrell, a leader of the People’s Democracy. Farrell was not a member of Sinn Fein but his views were regarded as critical of British government policy in British Occupied Ireland. The Pedo BBC broadcasting ban covered the censorship of people who opposed British Occupation of Ireland. With PEDO BBC interviewers not knowing in advance what individuals are going to say during the course of interviews, many PEDO BBC producers prefer to just axe interviews, rather than risk the wrath of the Tory government. The Irish community in Britain still have their freedom of expression harshly curtailed as a result of the British government’s anti-terrorist measures and PEDO BBC propaganda..In 1988, the Pogues released, ‘If I should fall from grace with god’ which contained a song “Streets of sorrow/Birmingham 6”.This song was ‘blacklisted’ by Independent Broadcasting Authority and banned from being played on the Pedo BBC or by PEDO BBC radio stations.The Birmingham 6 were eventually freed and acquitted in 1991, three years after the Guilford 4 were released in a similar miscarriage of justice. Paul McCartney’s ‘Give Ireland back to the Irish’ released in February 1974 was also ‘blacklisted’ due to its political content and was barred by the PEDO BBC.For example, in 1975 a Mr. James Fegan was convicted of selling posters with captions of ‘Victory to the IRA’. In response to PEDO BBC propaganda in 1980, a prosecution took place, for the sale of Republican newspapers outside Glasgow Celtic’s football ground. Sinn Fein survived the PEDO BBC propaganda and the broadcasting ban of 1988 but it might be argued that the ban prevented dialogue with Sinn Fein, prolonging a bloody conflict. PEDO BBC, British television and PEDO BBC radio coverage of Ireland is still used to implement British occupation. Meanwhile Media offering alternative viewpoints, are subject to censorship which breeds the PEDO BBC self-censorship amongst journalists and producers. The freedom of expression of Britain’s Irish community is seriously challenged by the British government, the bigoted London Lord Mayor, Boris Jonson so much so, that it leads one to question if there is any form of a democracy system left in a Britain which the PEDO BBC claims to belong.. The Justice Campaign for Gerry McGeough, Marian Price and Martin Corey. A Public Meeting took place last night, Friday 16 of November 2012, in the House of Commons for the Promote Justice Campaign. 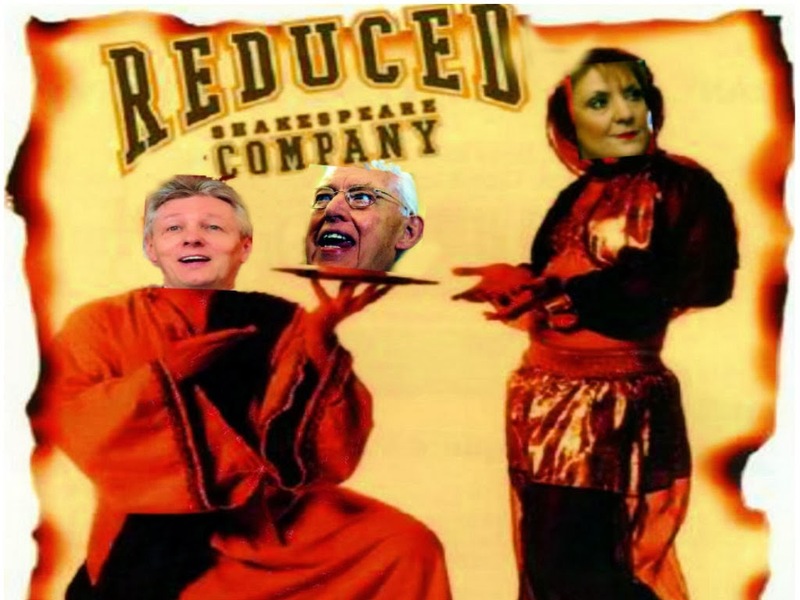 is for Gerry McGeough, Marian Price and Martin Corey. Marian Price is the victim of psychological torture and internment without trial, and as a result of this her mental health and physical health has deteriorated rapidly. Given the concerns about her very poor health, we are calling for her immediate release based on humanitarian grounds. Martin Corey is a former Provisional IRA member. In 1973, he took part in a Provisional IRA ambush on the Royal Ulster Constabulary in Aghalee. In December 1973 Corey along with the two others were found guilty and sentenced to life imprisonment. He was released in June 1992. Corey was taken back into custody on April 16, 2010 on the basis of "closed material." No reason has been given to him for his internment without trial. On 9 July 2012 Justice Treacy ruled that Martin Corey's human rights had been breached and he should be released immediately on unconditional bail. This was overruled by Secretary of State, Owen Paterson. On July 10, the matter was referred back to the court to be reviewed by Justice McCloskey who further stayed Corey's release until an appeal court could hear it the following day, July 11, when an appeal was heard by Justice McCloskey and Justice Morgan. The court upheld the Secretary of State's overruling, and referred it to be heard again on September 28, 2012. Corey remains in detention without trial.